Stockton, CA - The Warriors returned to the Pacific Tiger Invitational posting some outstanding results for the early season. 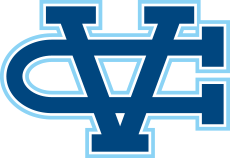 The Lady Warriors saw six runners finish 21:40 or faster, bettering their team time here a year ago by more than 2 minutes. Christine Albrecht was outstanding leading the charge posting 19:08 for the 5k distance. Katelyn Stone was stellar in her season debut running 20:08. Alexis McMahon 20:39 continues to improve and be a major contributor to the varsity team. She has improved nearly three minutes over 5k from last season. 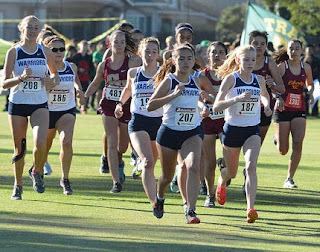 Sophia Patterson (20:41), Hannah Theaker (21:12) & Maylene Aguilar (21:41) rounded out the scoring team. Joe Renati has been on a mission this season. 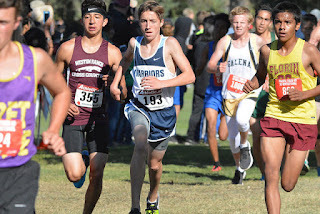 After setting the records in the team time trial and RLS Relays he suffered through a cramp to finish Toro Park in 16:19, the second fastest mark in team history. In each of his races this season he has gone to the front and taken on the best runners in the section. This time it was Robert Miranda of Menlo going to the from with Renatiand Nicholas Medearis of Crystal Springs giving chase in the front pack. Following a 4:44 opening mile Renati held strong to finish second in 15:26. Will Luders got a little closer to sub 17 finishing just tenths away running 17:00.3 for the 5k course. Luders, a freshman has set the team freshman record in the first three meets this season. Running stride for stride nearly every step of the way is teammate Noah Shinn (who was not competing at this meet). The dual have set themselves apart as some of the top freshman in CCS. Not far behind is freshman Ben Kaestner, was also outstanding posting 18:19. Three freshman have contributed to the varsity team this season in an awesome display of young talent for the Warriors. Nate Moore cracked 18 for the first time finishing in 17:46. Jack Adamson (18:44), Ragav Saran (19:27) & Preston Nguyen (20:33) rounded out the scoring team that set a team record for the second consecutive week. 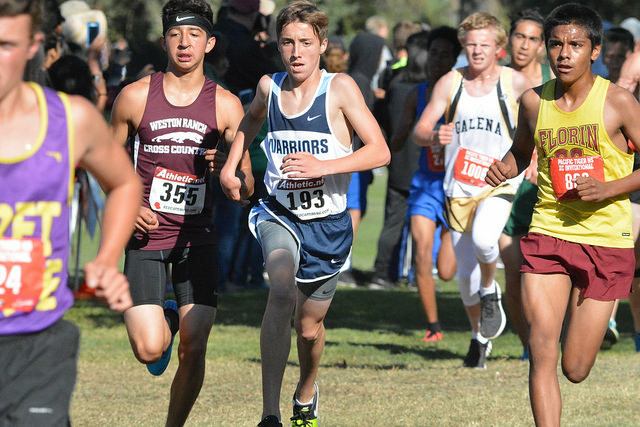 The Warriors next compete at Baylands Park in Sunnyvale competing in the first league meet of the season.